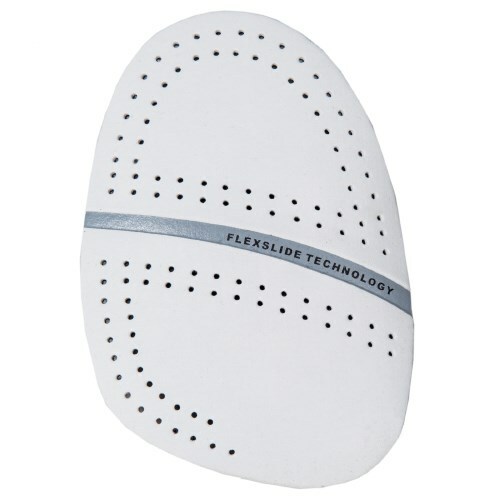 The KR Strikeforce SP-6 is a perforated microfiber slide pad that is available for right or left hand bowlers. The SP-6 pad allows a medium amount of slide when compared to the other slide pads available from KR. These pads may need to be trimmed to fit your size shoe. They are also compatible with any brand of interchangeable bowling shoe. How do you put them on the shoe, is it Velcro or sticky? Hello Brandon. These will be applied with a velcroe texture. Does “right hand” refer to the shoe that the pad goes on? Or the hand you throw the ball with? It refers to the shoe that the pad goes on. Due to the time it takes to produce the KR Strikeforce SP-6 Perf. White Microfiber Slide Pad ball it will ship in immediately. We cannot ship this ball outside the United States.